On Tuesday I received my first package in the Stitch Marker Swap going on at Crochetville. 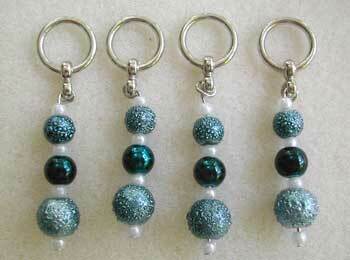 These knitting stitch markers are from Kimberly of Woven ~N~ Spun. They’re beautiful, thank you, Kimberly! wow – score! those are great! !